Revolutionary War Battle of Purysburg, South Carolina Discovered! LAMAR Institute archaeologist Joel Jones holds a brass medallion that was recently unearthed at the Purysburg Revolutionary War Battlefield in Jasper County, South Carolina. While George Washington and the Patriots were busy in the northern colonies, the American Revolution made its way south. Archeologists with the LAMAR Institute discovered extensive evidence of the Battle of Purysburg, South Carolina. The April 29, 1779 battle occurred when British Light Infantry troops and two battalions of the 71st Scottish Highlander Regiment, commanded by Lieutenant Colonel John Maitland, crossed the Savannah River from Abercorn, Georgia and invaded the colonial town of Purysburg. Thousands of additional British troops under command of Major General Augustin Prevost followed the next day. About 220 South Carolina Continental soldiers camping inside and around town manned defensive works, but were no match for the greater number of British troops. The Patriots, under command of Lieutenant Colonel Alexander McIntosh, abandoned their posts at Purysburg and, after joining with Brigadier General William Moultrie’s 1,000 militia troops from nearby Black Swamp, retreated towards Charleston. During five weeks of extensive field work, LAMAR Institute archeologists discovered and mapped the locations of more than 100 musket balls, and several canister shot and explosive shells across the landscape indicating where fighting took place. They also discovered Patriot soldiers’ camps at Purysburg. Archaeologists documented known fortification trenches and also identified and recorded several new fortifications from the Revolutionary battle. The project is being funded by the National Park Service American Battlefield Protection Program. 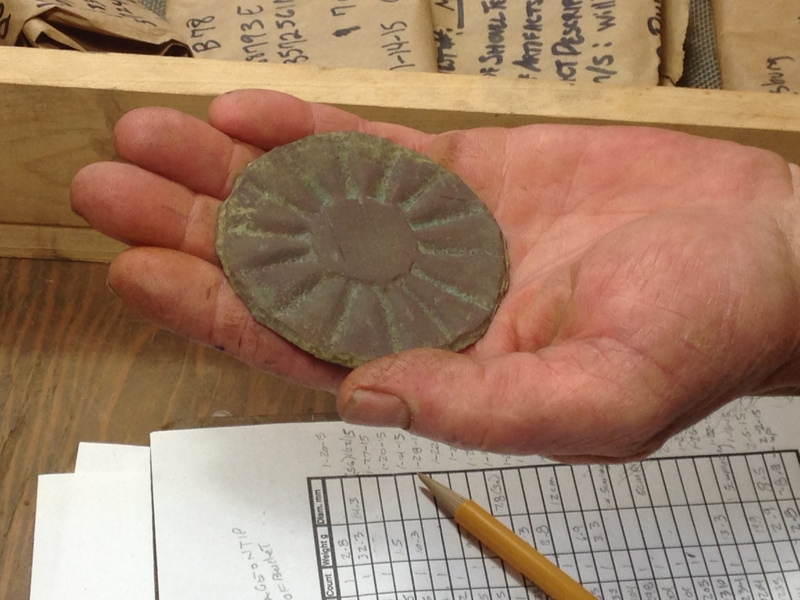 Archaeologists are now analyzing the artifacts and map data to compile a report that will be available to the public.  This is a two-year project with various phases of research, field work, lab work, and report writing.  Purysburg, South Carolina became an important location in the American Revolution following the 1778 British shift to the southern theater of the war in Georgia and South Carolina.  Following the 1778 British taking of Savannah, Georgia, American Major General Benjamin Lincoln established the Southern army headquarters at Purysburg to hold the Savannah River as the front line.  The Patriots established its secondary headquarters at Black Swamp, about 15 miles north of Purysburg.  For the next several months, thousands of Patriot troops in the area held a stand-off with thousands of their British counterparts located across the Savannah River at New Ebenezer, Georgia.  In 1779 British Major General Augustin Prevost’s troops attacked the Patriots in a battle at Purysburg.  Prevost then marched his troops to Charleston, spurring Lincoln’s troops to change course from a march to Augusta to a march to Charleston.  The 33-year-old LAMAR Institute is a 501(c)3 non-profit organization with the mission to promote archaeological research and public education in the southeastern United States.  The LAMAR Institute and its associates have been awarded and/or involved in eight National Park Service American Battlefield Protection Program grants since 2001. For more information or to schedule an interview with archaeologists, please contact Dan Elliott at dantelliott@gmail.com or (706) 341.7796. For more information about The LAMAR Institute visit http://www.thelamarinstitute.org.